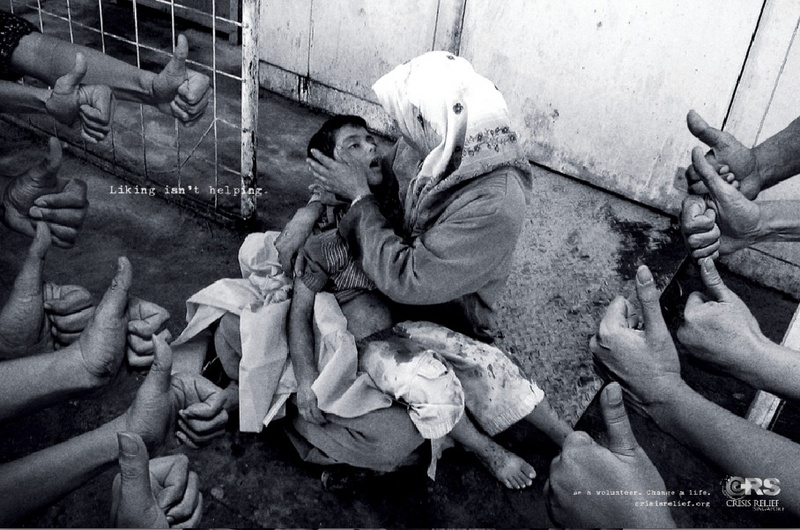 “Liking Isn’t Helping” ad campaign for Crisis Relief Singapore by Publicis Singapore. An integrated campaign is capable to create awareness and make awareness measurable by the number of participants to act upon the obtained awareness and supporting it. Efficiancy increases with the immediacy the participant can act upon her reached awareness. This also blurres the lines between direct response and classic marketing. Now proven measurable results can only be obtained by an idea that does. If it doesn’t it won’t do. Back in April 2010, Gareth Kay from Goodby Silverstein, enlightened the ad industry with his „Transformer” speech for the American Association of Ad Agencies AAAA with “ideas that do”, and what the ad industry can learn from the mating habits of birds. 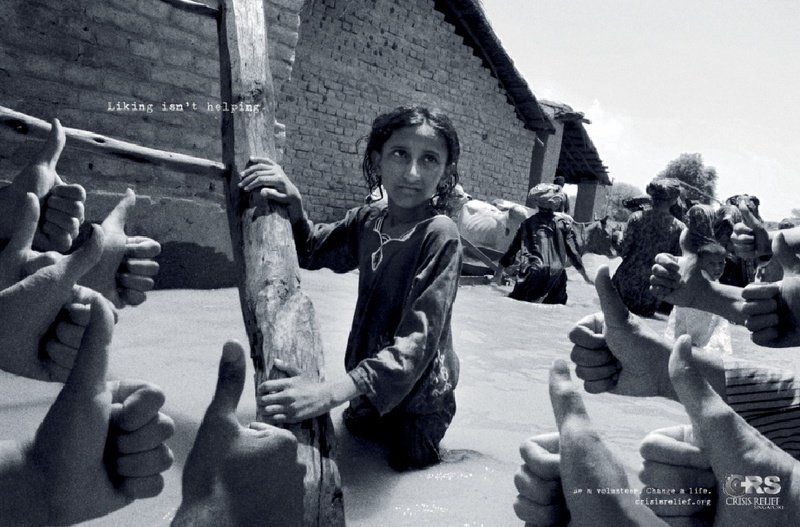 Kay is offering a pragmatic, practical, dare I say, universal solution in a time of increasing global disorientation amongst ad professionals since consumer behaviour has changed dramatically world wide. In Germany McDonald’s is celebrating the most visible success of an “idea that does” with „My Burger” with substantial increase in sales from new burger creations by its customers. Since 2010 an idea is good only as long as awareness was raised and has simultaneously resulted in immediate action supporting the cause of the awareness it raised: a transaction, sign up or application of sorts as is the case with the featured crisis relief campaign.